Review Fix chats with playwright Yolonda K. Wilkinson about her upcoming production, “Bible Study For Heathens” and why you should see it. Is the search for divinity itself divine? BIBLE STUDY FOR HEATHENS investigates the American religious experience through one woman’s unwavering exploration of worship in the 21st century by means of ritual, tradition, games, and reenactments. 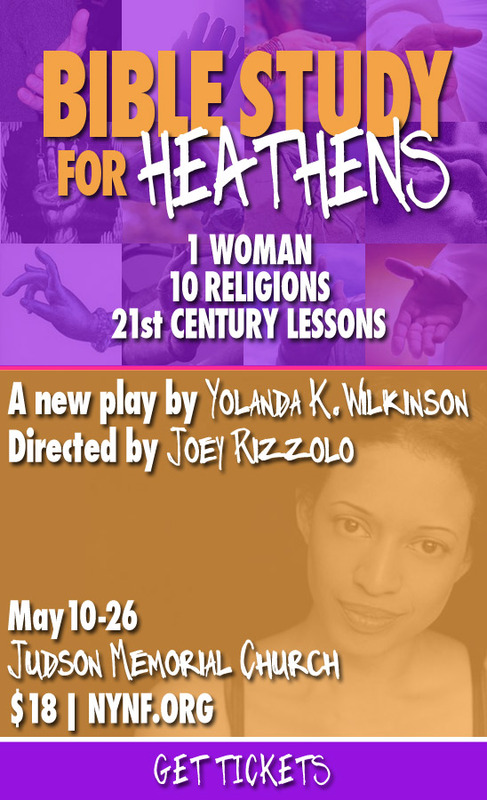 An honest and revelatory new play that chronicles New York Neo-Futurist Yolanda K. Wilkinson’s personal journey and study of 10 religions. Talkbalk after each Sun matinee!